Welcome to the DC Triathlon Club’s general informational page about the Ironman Training Program (IMP). The DC Tri Club is currently the third largest triathlon club in the nation with over 1000 active members. 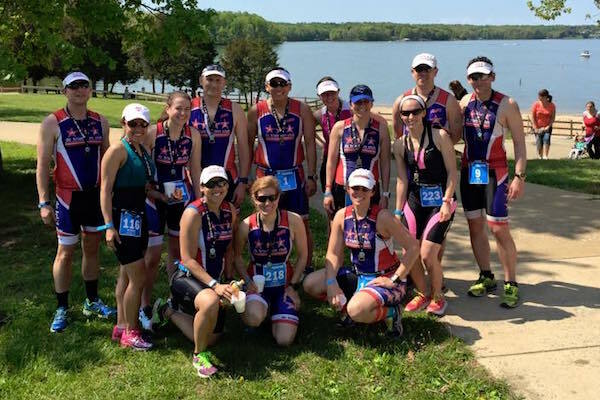 With such a large membership and with the success of the club’s New Triathlete Program, we saw a desire from our members to create programs to help our triathletes conquer the longer distance races. And so in 2011, we created the Ironman Training Program. With feedback from each year’s class, we are constantly bettering the program to meet the demands of the participants. What is the IMP all about? 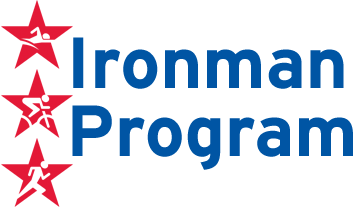 The Ironman Program (IMP) is designed to take an athlete with previous triathlon experience (minimum of at least one Half Iron distance race) to the next level in racing distance: the Ironman. Whether you are a first time Ironman competitor or a long course veteran looking to improve your time, our Ironman Training Program will help you accomplish your goals. This 24-week training plan includes a series of advanced technique clinics that includes swim stroke analysis, cycling techniques, run stride analysis and nutrition planning for endurance events. Additionally, we will offer clinics covering various topics that are necessary to successfully prepare for an iron distance triathlon. Want to learn about the Program Staff? What is the IMP goal race? Standard: An average of 8-9 workouts a week (2-3 swim, 3 bike, 2-3 run); time commitment ranges from 8 hours (recovery weeks) – 17 hours (peak week); participants will typically do one to two workouts per day. Participants will not have an official day off per week for rest and recovery except during recovery weeks. However the third swim workout will remain optional each week (highly recommended however) for those participants that choose to take a day off each week. Active recovery days and weeks will be incorporated into the training plan. There will be a scheduled day off during each recovery week. Initially, participants will be required to do a 2000 yard swim, a 2:00 hour long ride and a 1 hour long run. The long rides and runs will increase from this point. This plan will require dedication and commitment from the participant in order to assure IM success. Advanced: An average of 9-10 workouts a week (2-3 swim, 3 bike, 3-4 run); time commitment ranges from 8 hours (recovery weeks) – 19 hours (peak week); participants are typically seasoned, competitive athletes that want to improve their overall performance. This training plan will closely correlate with the Standard plan (for ease of training partners); however this plan will incorporate an additional swim and run each week (and a longer weekend run/brick). Each week’s plan incorporates specific swimming, cycling, and running workouts appropriate for that phase of the overall training plan. The program relies on heart rate zone based training. Injury Prevention & Functional Strength Training: The purpose of this clinic is to demonstrate exercises and stretches to help participants avoid injury and improve performance. We will focus on core/abdominal strength, shoulder strength and flexibility, hip flexibility, quadriceps, glutes, balance and other key areas for triathletes. Bike Handling and Maintenance Review: While we do not anticipate anyone having significant bike fit or handling issues at this experience level, the challenge of riding 56 miles in an aero-position is significantly different than riding 40K in that position. We will do a brief review of strategies to avoid potential injury and unnecessary energy exertion. Additionally, we will review basic group riding etiquette and bike handling techniques as well as review basic bike maintenance. Ironman Nutrition: One of the biggest challenges to successfully making the transition from an Half-Ironman Distance race to a full Ironman is taking in the right amount of nutrition at the right time. While the primary means of learning what works occurs during training itself, we believe that a clinic to review the basics and provide suggestions will help everyone to accelerate their learning process. Foam Rolling: This clinic is hands on and walks you through the key areas for recovery from the affects of long course training. Race Planning: In order to be prepared and organized for your goal race, this clinic will talk about the important areas that must be addressed during training and before race day to ensure optimal performance on race day. Swim Clinic: The swim clinic will help participants work on their swim-stroke technique and drills. 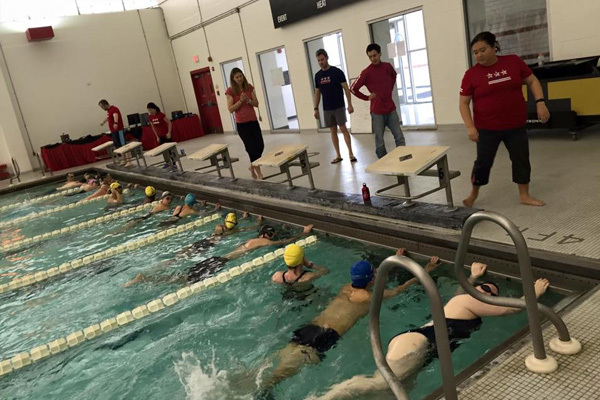 Participants will receive feedback from a brief swim-stroke analysis. Open Water Swim Strategy: The open water clinic will provide participants with an opportunity to practice open water swimming. Additionally, participants will learn strategies for mass starts, turning, drafting and efficiency during racing. Run Form Clinic: Running off of the bike provides different challenges for the Ironman race distance. Running form and efficiency play a key role in a participant’s success. 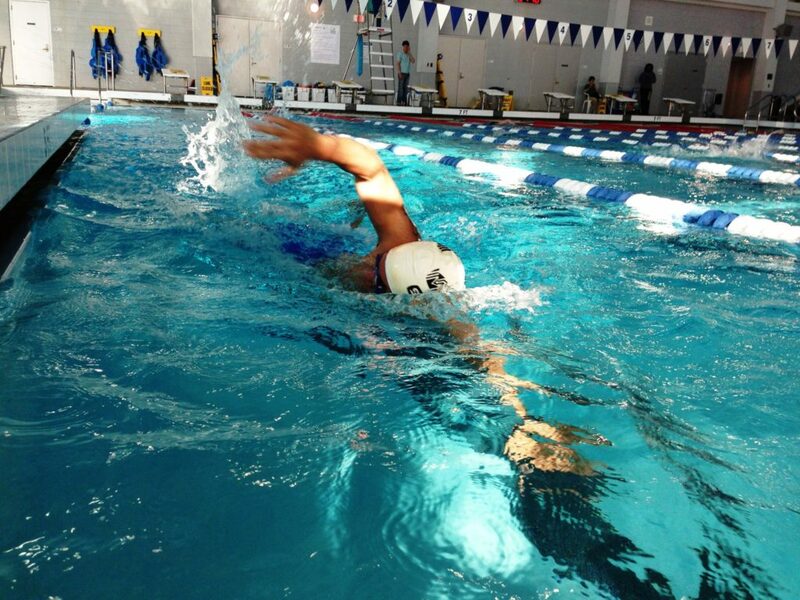 This clinic will address the most often ‘denied’ area of the triathlon competition. Is the training plan personalized to each participant? No, the training plan is not customized to each individual athlete. As a club program, this issue has been debated over at length: how best to provide a training program for members trying to attempt an Ironman distance race while doing so at an affordable cost. Personalized training designed by a coach will cost an athlete from $150 to $500 per month for the duration of the program (5-6 months). This may not be economical for many athletes so the club decided to make some concessions to bring the cost of the program down. Working with a coach, two training plans were developed that can accommodate athletes of various backgrounds and various goals. However, for these reasons, participants must have previous Half Ironman triathlon experience to participate in this program. How will the training plan be delivered? The training plans will be delivered via the TrainingPeaks.com website, to which all participants will have access. The coach will enter the training plan into the system and can adjust the start date to coincide with the chosen goal race. Participants will be able to access the system to review and record their workouts. The plan will consist of six months of workouts designed to take an athlete with prior triathlon experience and bring him or her to the point where he or she can comfortably complete a full Ironman distance race. The program is also appropriate for athletes who have completed an Ironman distance race but would like to improve their results. Participants must have previous Half Ironman triathlon experience to participate in this program. Important: After you register, you will receive a Welcome Email and an Athlete Guide with all details about the program including: how to register for Training Peaks, how to choose your training plan and how to subscribe to the Ironman Training Program forum. Please allow several days between registration on the DC Tri website until you receive the Welcome Email and uploading of your respective training plan. Where should I be, training-wise, upon starting the Ironman Program? Should I do a Half Ironman midway through the training plan? YES! We highly recommend that you participate in a Half Ironman distance race during the Ironman Training Program. The recommended timeframe for this is about 6-10 weeks prior to the goal Ironman race. To encourage you to do a Half IM race, the training plan will be adjusted by the coach to accomodate a race of your choice. If you opt to do a Half Ironman race during the program, you MUST declare which one before the training plan begins in reply to the Welcome Email that you will receive upon registration into the program. Keep in mind, that if you opt to include a Half Ironman race, the training plan will be adjusted to add a couple extra weeks of training (potentially 25/26 week training plan over the standard 24 week). The club featured goal race is sold out, can I still do the program? Will there be group workouts? Yes, group workouts are held on a regular basis. These will coincide with regularly scheduled DC Tri Club group workouts however program participants will generally form up and ride or run together following the workouts prescribed in their respective training plans. This is a great way to find training partners and meet other club members. What kind of interaction will I have with the coach, Co-Leaders, and fellow participants? Ironman Training Program website: You will have access to a dedicated, restricted part of the DC Triathlon Club website forum to facilitate communication between the coach, coordinators and the participants the forum will also enable you to connect with your fellow Ironman Training Program participants to schedule workouts. Future communication will be established on this forum rather than your individual e-mail addresses. The program cost is $450 per participant. Participants must be active members of the DC Triathlon Club. The maximum number of participants will be set at 30. Registration for the Ironman Program is on a rolling basis — to ensure that there is adequate time to follow the 24-week training plan and prepare for the goal race, participants should register at least 24 weeks before the goal race. This will give you the benefit of the full program as well as involvement in all of the informational clinics. (Race registration fees are NOT included in the cost of this program.) There is a no refund policy for this training program. Please tell me about the coach! We would like to introduce you to your coach: Alyssa (AJ) Morrison. As a schooled occupational therapist, AJ has been helping people improve their fitness for years. 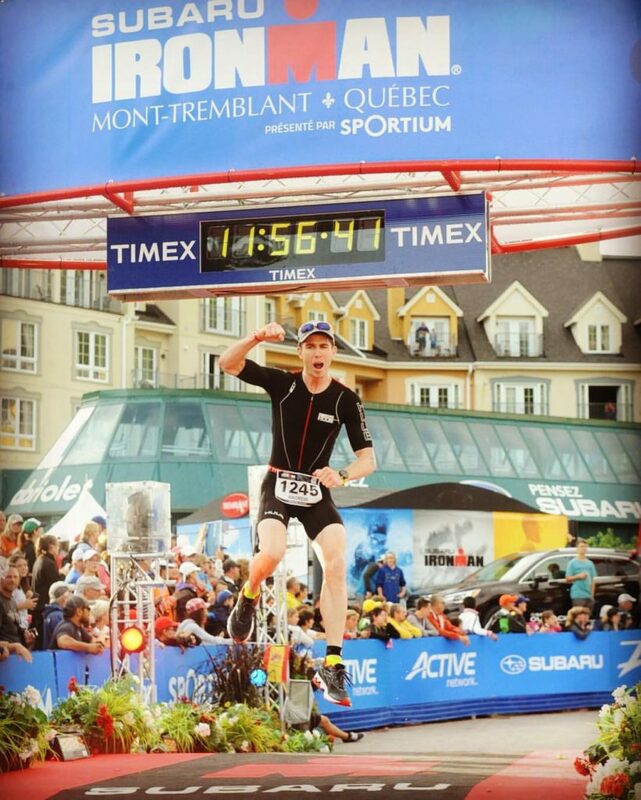 AJ is the founder and head coach of Multisport In Motion. AJ is also a certified USAT Level II triathlon coach, US Level III Cycling Coach, ACE Health & Wellness Coach, ASCA Swim Coach and USAT Youth and Junior Triathlon Coach. Building on the experience as a collegiate athlete in track and field, AJ is a seasoned triathlete. She was named to DC Triathlon Snapple Elite Team for 4 years and received USAT All-American/Honorable Mention All-American honors during this time frame. She has qualified multiple times for the USAT National Championships, as well as the Ironman World Championships 70.3 and represented Team USA at the ITU Duathlon World Championships. As the coach of DC Triathlon Club’s Ironman Program, AJ looks forward to sharing her knowledge and inspiring others in the DC Triathlon Club. If you have any additional questions, please email the Director of Programs. 233 queries in 2.634 seconds.